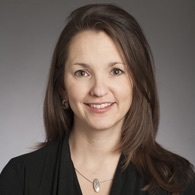 Lori L. Holt is a Professor of Psychology at Carnegie Mellon University and is affiliated with Pittsburgh’s Center for the Neural Basis of Cognition. She has been a member of the Department of Psychology and the Dietrich College of Humanities and Social Sciences at Carnegie Mellon University since earning her Ph.D. from the University of Wisconsin-Madisonin 1999. Dr. Holt is the recipient of a 21st Century Scientist Award for Mind, Brain and Behavior from the James S. McDonnell Foundation and her research has been recognized by awards from her peers at the Acoustical Society of America, the American Speech, Language and Hearing Association and the National Organization for Hearing Research. In 2007, the Association for Psychological Science named her a Rising Star in Psychology. In 2013, Dr. Holt was awarded the Troland Research Award from the National Academy of Sciences. Dr. Holt is an expert in auditory cognitive neuroscience, with a focus on understanding how humans interpret the complexity of spoken language. Her research program builds from considering human speech recognition as arising from general, and not uniquely human or speech-specific, mechanisms. Her training includes single-unit electrohphysiology and animal behavioral models of audition in addition to human behavioral methods across development. Her current research program exploits human psychophysics and learning paradigms in adults and children, human electrophysiology, neuroimaging, animal behavioral models and acoustic analyses. One branch of her research uses the acquisition of first and second languages as a testing ground for models of auditory learning and categorization; another investigates the role of context in constraining and shaping auditory percepts. The research has implications for critical periods in development, for developmental disabilities involving language and for research on computer understanding of speech. Dr. Holt teaches undergraduate courses in Research Methods, the Biological Foundations of Behavior and Auditory Cognitive Neuroscience. She is co-Director of the Predoctoral Training Program in Behavioral Brain Research (T32GM081760, with co-Director Dr. Julie Fiez, University of Pittsburgh), an NIH-supported graduate training grant to train the next generation of behavioral researchers to exploit biomedical techniques in their research.